How To Choose Toilet Roll Making Machine? The toilet roll making machine is the necessary equipment for manufacturing toilet paper. It is the main part of toilet paper manufacturing process. Meanwhile, it is the key factor to make sure good quality toilet paper. Therefore, during toilet paper manufacturing process, you should have a superior quality toilet roll machine. In the sound of low profit margin, manufacturing toilet paper in large batches can bring you great benefits. 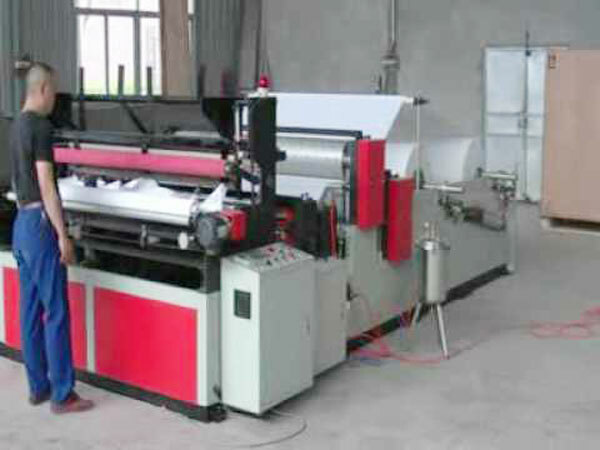 So, in order to go after profits, quality of paper roll making machine should be guaranteed. Firstly, make sure whether the roll making machine has thickness steel raw material. Thickness steel material of the machine can promote its service life time and reduce shake range during runtime. Secondly, the workers’ proficiency degree in assembling machine. The skillful worker can make smaller gap of toilet roll machine which has long service life time. Thirdly, the new technology application degree. Higher new technology application degree can make sure high productivity. Fourthly, you should choose one professional manufacturer that has perfect after sales service, reasonable price. Beston Machinery, a well-known enterprise in manufacturing paper making machine, has taken up a broad market because of good quality and perfect service. We have many models of toilet paper machine for sale. We hope to serve you. Please Leave Your Inquiry In The Form Below. We will answer you as soon as possible! How To Maintain Toilet Paper Making Machine? What Kind Of Small Paper Making Machine is Worthy Of Investing? Manufacture base: Beston Industrail Zone, Xiwang RD, Industry Cluster Area, Shangqiu City-476000, China. Head office: 9 floor, 6 building, E-commercial port of center China, Rd. Zhengping&Lijiang, Zhengzhou City-450000, China.